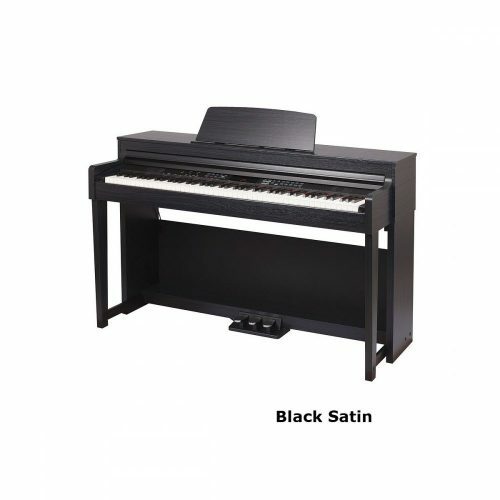 Articles about pianos (which ones to buy, brands, types, history etc. ), learning and practicing tips, piano care and moving. If you would like to add a piano article free of charge, you can send it by email to: admin@ukpianos.co.uk. Articles are normally posted on the UK Pianos site within 2-3 days. If your article receives many views then it has a chance of appearing in the top 10 list. Frank Baxter really puts everything in a nutshell! The piano is certainly not dead and never will be! I’m always amazed at how many people seem to think the piano is no longer popular. Isn’t the piano dead, they ask? I mean, do people really still play the piano anymore? They seem to think because there are so many other diversions these days (iPods, xBox, television, the Internet, etc.) there must be very few people still playing the piano. Admittedly, it isn’t as popular as it was in the 1940s, 50s, and 60s, but I’m here to tell you it’s still enjoyed by millions of people and attracting new players all the time. I run a popular web site called Piano World (www.PianoWorld.com). Piano World averages about five million page views a month. That means five million times a month, somebody who is interested in the piano is viewing some page on my site. Our Piano Forums currently (August 2006) have about 18,000 members (and thousands of visitors who haven’t bothered to register), with new members joining every day (membership is free). And they are a talkative bunch, having created well over five million posts, with over 350 new posts going up every day! Do you want to use this article on your website? ukpianos.co.uk gives you permission to copy this article and use it, providing you include this author’s biog box. Members come from all over the world, and all walks of life. The include concert artists, piano dealers, tuners, teachers, jazz musicians, manufacturers, amateurs, you name it. But they all share a common interest … They Love The Piano! The forums members are a great community. They get together in groups all around the country, sometimes at a member’s home, sometimes at a dealers store. They have parties, play for each other, tour piano factories, have “piano crawls” (where they visit a bunch of piano stores), and more. Some of the members even got together and created a Piano Forums CD. And they are very helpful, supporting each other with information, encouragement, and feedback. What kind of pianos do they own? 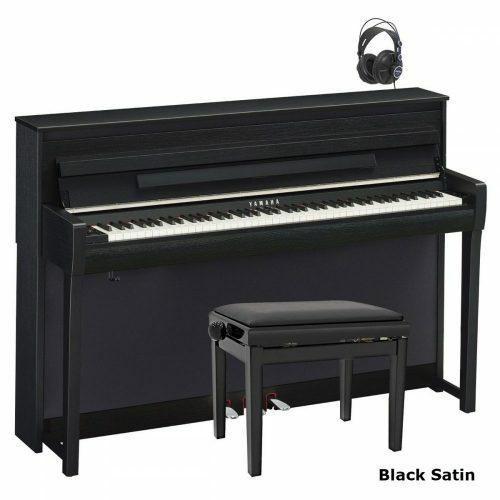 Everything from square grand’s (they aren’t really square, that’s just what they are called) to spinets, consoles, and uprights, electronic pianos, digital pianos and keyboards, to baby grand’s and concert grand’s. And what did they pay for these pianos? Anywhere from a couple of hundred dollars, to over $100,000! So, who is playing the piano? Professionals, amateurs, adult beginners, children, people going back to the piano after years away, teens, stay at home moms, all kinds of people. The Piano is Alive and Well! Editors comment/ A simplified method for creating basic songs on the piano. This skill is important to learn before any other if you wish to compose your own music. to improvise first and then learn how to compose. Here’s why. Improvising allows you to express what you feel without constraint. to guide you, you’re ready to compose. ABA form in the Key of C.
time, this comes out to about 2-3 minutes of music. is best accomplished when you can improvise freely first! with students in private, in groups, and now over the internet. Stop by now at quiescencemusic.com/piano_lessons for a FREE piano lesson! What is The Difference Between Piano and Organ? Editor’s comments/ Playing the piano and playing the organ is quite different. You can find out all the main differences by reading this very well written article. courses that you’ll hear about *very* soon). All of these assumption are partly true. Music is music and chord progressions are chord progressions. it would end the same way on the organ. and using your foot to walk the bass). this is a new addition, alone. movements, “runs,” “licks,” and more! just by knowing a few well-known organ patterns! that Wonderful Name of Jesus,” “God is a Good God,” and more! over 480 chords to add to your gospel playing toolbox. invert them in non-conventional ways! support what your right hand is playing. Editor’s comment/ Look after your piano. If you get it tuned regularly (twice per year is ideal) and you keep it in a cool environment with a constant temperaure, away from draughts. It will last a lifetime. affect the quality of the piano. maintained and your piano will love you for it. damage the finish on your piano. that accumulates can cause tiny scratches when you polish it. separate cloths for the black and white keys. pianos. Go down to your local piano shop and talk to the people. They will undoubtedly have the right products and advice for you. Should You Learn on a Keyboard or Digital Piano? The keyboard and digital piano market is certainly much larger today than the acoustic piano market. The reasons for this are mainly due to the available space in the modern home, advances in technology that allow you to record your own music on your digital piano or keyboard, and the useful feature of being able to play with headphones. In an ideal world it is best to learn on a grand piano. The grand piano produces the best sound, has more weight to the keys which strengthens the fingers more, and has a faster repetition due to the superior horizontal piano action which relies more on gravity than the upright. The disadvantages of the grand piano are mainly the space they take up and the high price tag. The upright piano is the next best thing to learn on. Much less space is required than a grand piano, prices are cheaper and the sound of the tallest uprights are almost identical to the grand piano. The digital piano comes next in line. The sounds are recordings from a grand piano and the touch, although lighter than a grand or upright piano, is pretty realistic. Last in line is the keyboard. The keyboard is not the best thing to learn on. If your budget is tight, then a keyboard will do for the first year of playing only. Practicing on a keyboard is ok if you are mainly learning the notes and the theory of music. 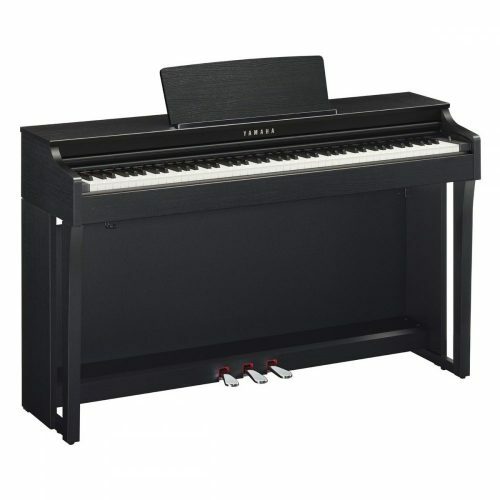 After one year you will need to upgrade to either a digital piano or an acoustic piano. Editors comment/ 10 useful study techniques to get the absolute maximum out of your practice time. Learning to play the piano can be trying at times. It doesn’t matter if you are just starting out, or if you have played for years, sometimes it feels like you just aren’t getting anywhere at all. And, no matter how long you sit and study and play the piano, you are bombarded with the old adage “Practice makes perfect”. But, how can you study the piano if you aren’t really sure what you’re supposed to be doing? Well, every good piano player should know that studying the piano is more than just practicing. Studying the piano involves playing all different works to help your fingers continually train and stretch, reading through music and understanding every work before you master it, how long you can practice, and how well you can use your study time. Every piano player needs to find the study technique(s) that will help them to learn better and faster, and usually it’s trial and error that will point this out to you. Some piano instructors will help you find the right study technique by giving you several tips and ideas that helped them, while others will simply tell you to “go home and practice”. But, if you are not playing correctly while you are practicing, you are simply defeating the whole purpose of practice. So, how do you know what to do when studying the piano? 1. Make sure that your practice area is free of all distractions, such as the television, phone, loud music, and even other people if needed. Having a quiet place to read, study, and practice can help you more than anything while you are learning. 2. Read through your music or assignment. Every piano instructor will either assign you or show you some great practice suggestions for your study at home. There is a reason for these, and you should always do any practice pieces at home when you can. 3. Study and practice the piano every day. No matter if you can only set aside thirty minutes per day to study, you need to be sure that you are practicing each day. Once you have your study time down, you should continue to study at that same time, every day. 4. When you sit down to practice, make sure that the sheet music is easy for you to read and that you have enough light to see it. There is no need to strain your eyes or try to play something that you can’t read. 5. When you are working on learning a long piece, don’t try to cram it all in at one study session. You should break it up into smaller pieces and learn each of them in order so you will be prepared and ready to play the whole thing through. 6. As you break down each section in the piece, you should play through them slowly at first, making sure that each note, pitch, melody, tune, and rhythm is right and in the right spot. There is no need to study that piece if you play the same mistakes over and over. By practicing each work correctly, and slowly, for a few times, you’re fingers will know where to go and what to do when they get there. 7. When you have a good study session, you should reward yourself by playing something that you already know and love after something new and hard. By playing something that you are already good at, you will bolster your self esteem and let you know that you are a good piano player, and practice will have you playing this new, hard piece in no time too. 8. You should take your teacher’s suggestions and tips home with you. By using their advice, you will find all sorts of new avenues of study and play that you didn’t know before. After all, it took them years of practice and study to get where they are, so they have done something right! 9. Find a musical dictionary. This will help you study your pieces the right way by telling you what each Italian term on your music means, such as Allegro vivace, so you don’t get confused while practicing or playing. Knowing what the original composer meant and wanted that particular line to sound like will help you become a better player. 10. Experiment. Use different study techniques until you find some that work for you. Everyone has different ways of learning, whether it’s by reading all about the piano and the work that you are trying to learn, or whether it’s sitting down and playing it over and over until you get it right and can play it in your sleep, each different piano player will have to experiment to find that perfect study technique for them. While you are in class, you should always listen to your piano instructor. This means that you should soak in everything you possibly can, from new techniques that you need to master to where the next good piano concert will be and when. By knowing new techniques that you can use, you will find that you’ll be able to get these new techniques into your routine and help you on the road to becoming a better piano player. By attending some of the better piano concerts around your area, you will have time to study each different piano player and see how they play, read, study, and much more. When you are able to watch the better piano players, you will become better as well, as you should learn something from each different performance. Once you have found a few new techniques for studying the piano, you can take them all home and try them out on your instrument. Make sure that you either memorize the techniques or that you write them down before you stop your practice for the day. By memorizing or writing down the new technique that you have learned that day, you are less likely to forget it the next morning. This article was brought to you by Mandi Weems, and expert writer for Free Piano Sheet Music. Editor’s comments/ This article suggest that you can learn to play the piano much more easily by imitating piano teachers and piano players. It makes a lot of sense, but first, you should make sure the pianist you are copying uses correct techniques. The last thing you want to do is mimick someone that uses bad habits! The best way to learn the piano is to imitate professional piano players. Learning the piano is no different to learning a foreign language. As such, it has intonation, phrasing, dynamics, etc. But the key to mastering the piano, like mastering a verbal language, is to acquire good habits from the start. This is why it’s important to learn from someone who has already mastered the language of piano. Many beginning piano students fall into the trap of learning by themselves without the proper guidance to master the fundamentals. The following pointers help to get beginning students into the right track to becoming competent piano players. * Seek out a good piano teacher who doesn’t hesitate to let you imitate his/her skills. Ask yourself this question “is he/she going to teach me the necessary skills to become a well rounded player or is he/she just going to teach me the same old “Twinkle, Twinkle Little Star” like many other old school teachers do. If you go with self study, make sure you choose a system that emphasizes the imitation technique. * Learn the fundamentals – take your time to learn the basics. When you first learn a foreign language, you don’t try to converse in full sentences right away. You start out with one letter at a time, one syllable at a time. Then you put syllables together to form one word, and then you put words together to form sentences. Before long you’re able to communicate with your fellow students. Likewise, when you start out learning the piano, learn one hand at a time, then hands together; one chord structure at a time, then chord progressions. Simply and joyfully. * Choose a method that de-emphasizes note reading and encourages chord style playing and playing by ear. I’m not saying that you should not learn how to read note, but if you want to start playing hundreds of songs, start learning chord style piano. Chords are much easier to learn and master. With only a few chords you can play many pop songs pretty quickly. And if you are so inclined to learn classical piano later on, you can always focus on pure reading then. * Have fun or else – just because you are starting out learning the piano, doesn’t mean you can’t have fun. This is important if you want to keep playing the piano for years down the road. Many students give up early because they don’t have fun. Unfortunately, traditional methods that teach rote memory and emphasize on sight reading tend to discourage this important element. Thanks to today’s technology and other alternative piano methods that focus on chord style piano playing, students learn to play and have fun from day one. Some online piano methods incorporate audio, video, and computer games to help the beginning students learn better and faster. The key to learning to play the piano well is not about “suffer first then enjoy later”, but to enjoy it now – from day one! It doesn’t have to take 6 months before you start having fun. Take all the time you need, but enjoy every moment of it now. Alex Nguyen is the “Rapid Piano Expert” who has been playing piano for over 20 years. Now he’s helping others learn to play piano rapidly and enjoy it from day one. To get your FREE mini report “The 7 Most Powerful Tips To Learning The Piano Rapidly,” and learn how you can get personal piano coaching from Alex for FREE for a limited time, visit http://www.RapidPiano.com. First let me say thanks for you UK Pianos and all the wonderful articles. They have helped my knowledge base expand greatly. 2012 when I was gifted a good upright piano. I played bagpipes as a teen and messed with the guitar for a bit. SO have a reasonable inate musical sense. I believe one of the main the keys to successful learning is the level of motivation one possesses. hehe and at 71 Im highly motivated. Before I started practise I researched the web for as much relevant information that I could find. Also I had a clear goal of the kind of music I wish to be proficient in. Boogie Woogie. My Current daily practise session consists of Hanon exercises 1 -2 -3 individually then with both hands. In 5 months The Hanon exercises have taken me from being completely finger tied to quite fluent and proficient in each hand individually. But both hands Together still need lots of practise. At present Im still very C based but find D is becoming interesting now . Next I practise 5 finger scales with accents on the 3rd and the 6th beat in succession. Next I practise Hands together exercises. Usually boogie based rythms. I have learnt 10 basic LH hand boogie Bases (all from the net)and practise these for 30 minutes non stop. Its quite tiring but my muscle strength has improved greatly. My Left hand Is becoming automatic in the simpler ones and a side benefit is my touch typing is a lot better. Next I spend time learning right hand boogie riffs so when the day arrives that both hands co-ordinate I will have some material I can fully enjoy. Finally to relax I enjoy a random session using the chords Im proficient at and explore the 5ths and 7ths and inversions. I find the beautifull combinations of sounds and simple progressions I sometimes generate quite rewarding at this stage. This practise schedule is about 2 hours long and I usually split it depending on how focussed I am . I take a break when I need it. By learning from online lessons I have found information and special skills from all the People who are generous enough to share it. This gives one access to a larger skill base, than from a single teacher no matter now gifited he is. I also spend time watching videos but mainly listening to the great boogie wooggie and other players at their best. If one has the motivation then Learning from online lessons is the way because there is so much great information and visuals but self teaching also requires a lot of self discipline and a high awarness to develop good technique. A home environment without distractions to allow regular practise is essential.. So to all the stuggling beginners out there. Regular focussed Practise makes perfect. Editors comment/ This article is a ‘must read’ for anyone seriously thinking of composing their own piano music. Mandy Weems talks you through each step and explains each component of composition. Composing – Every pianist has heard the word and knows what it means, but few can do it well. Some try their whole lives to be able to compose one piece of music, and others seem to be able to crank out beautiful compositions all the time. And, while it seems to come naturally to some, how do they constantly produce beautiful melodies, instrumentals, and wondrous music that can take us far away. These gifted musicians have a certain way that they create their piano compositions and they use this method for every composition that they create. No one can tell you your specific formula for creating a great musical composition, since there are many different steps and areas to think about when you are ready to compose. To help you find your method, here are the main components of composition and a bit about each one to show you exactly what is involved with each area of composition. Theme – What is your composition about? What are you trying to convey to the listener? Springtime, a thunderstorm, another country, love, sadness? There are millions of different themes and emotions that music can evoke in any listener, and you should have a general idea of what your composition will be about. Once you have this theme for your music, you’ll find that the composition process will go a lot easier. While you are creating the other areas of your piano score, keep your theme in mind so you don’t stray from it. Write it down on a sheet of paper and keep it in front of you, almost like a goal that you are trying to reach with your composition. The theme is the life of your composition and you should always keep it close to your heart, and your fingers, while you work. Melody – When you decided to compose a piece of music, you probably already had a small strain of music in your mind. This strain is your melody and should be the focal point of your composition. It was probably this strain that led you to your theme or vise versa, and the two should always work hand in hand. For example, if your theme is love, then a cacophony of percussion and hard hitting notes isn’t the best way to go about conveying your love to the listener. But, wonderful melodies that melt the heart with soft and warm winds and piano strains would be better suited to create an atmosphere of love in your composition. Once your theme and melody are aligned, the rest of your composition will be a lot easier to create. Use your base melody and expand on it throughout the piece, allowing it to grow and move you where it wants you to go. Your melody will help you move to your chorus, which will be the next focal point of your composition. Chorus – This is the strain of music that will be repeated at least twice in your composition. It can be as simple as a few lines of music, or as complex as a whole page, depending on the length and the theme of your music. The chorus is the one area of your composition that every listener will recognize the second time they hear it and know that it is the chorus. It is also where your theme and melody should meet flawlessly and allow your listener to see that thunderstorm, hear those springtime birds, or visualize those waves crashing on the beach. The chorus is what will keep your composition together and give you a base to work from for the remaining parts of the work. Introduction – The intro into your composition is not a “must have” item. Some composers will not create a piece without one, while it doesn’t matter at all to others. The intro can help you bring your listener into the composition and help to set the overall mood of the piece. Thunderstorms usually start with a light rain, so you can use an intro to set the mood and the ambiance for your storm. But, they also can come on suddenly, with a surprising crash and brightness that can be blinding, so you can do with an intro and throw your listener into the eye of the storm. Either way, the introduction is up to the composer and should bring your listener into your work. Bridge – The bridge is the part of your composition that will bring two sections of music together that wouldn’t otherwise fit. In most musical works, the bridge is used to take a pause to help the listener reflect on previous parts of the composition. It is used between the melody and the chorus, and in many other areas throughout different compositions, and is only a small strain of notes that will “bridge” other pieces of the piano composition together. Instruments – A good composer knows his instruments, their ranges, their sounds, their pitches, and so on. It doesn’t matter if you are only composing for the piano or for an entire orchestra, knowing your instruments and their abilities will help you to create great melodic strains that will melt together flawlessly. Along with the instrument comes the musician, and you should also consider who will be playing your composition when you are creating it. If you are writing for the piano, you don’t need to consider things such as length of breath, but instead you should think about the average player’s abilities, positions of the notes on the ivories, and their stamina for continuing long and complex strains of music. Knowing your instruments will help you to become a better composer. Changes – Once you have developed a melody, theme, and so on, you will start to place these items into your composition. But, creating a piece of music that is a completely repetitive pattern does get a bit boring, so you will need to change things up a bit. By changing up a part of your composition, you will help to keep the listener in the moment and really listening to your work, instead of drifting off somewhere. You can create a second melody to compliment the first, and insert it into your composition without warning to create a change in the overall sound in certain parts, or you can insert a completely different chorus or bridge that will help to change up a transition into another area. Once you have these basic areas of composition down, other areas can then be worked in. Things such as your personal style will play a huge role in the overall sound and composition, but is completely different from composer to composer, and no one can tell you how to create your own individual style. With your own personal style of composing, you’ll find the pattern that you prefer, be it Melody, Chorus, Bridge, Melody, Chorus, Bridge, Ending, or be it something completely random and different. By simply sitting down at the piano, with a tape recorder, and a pen and paper, you will be taking the first step into completing a masterpiece that you can be proud of for the rest of your life. Is It Better to Learn With Sheet Music or By Ear? Editors comment/ Every player should learn to read music BEFORE they start playing by ear according to Mandy Weems. Many of the jazz greats had to teach themselves to read music long after they were performing. They probably would have been better off if they had learnt to read music first. When you pick up an instrument, especially the piano, there is much to learn before you can truly play some of the greatest works ever written. Some musicians have the wonderful ability to play something simply by hearing it, while others have to work at it constantly reading sheet music. During music studies, everyone learns about those amazing composers, such as Mozart, who played and composed great works without ever looking at sheet music when they began to play. But, how do you learn to play by ear like the greats do? Do you learn with sheet music or do you try to learn by ear? And, what about the piano and music teachers? Should they teach beginning musicians to learn by sheet music or should they teach them to learn by ear? There are advocates for both sides, as there are people who have the ability to learn both ways. Every piano player, and musician in general, needs to learn how to read sheet music. It doesn’t matter if you are playing for yourself or a concert hall, dabbling or composing, a good musician knows how to read sheet music. Learning to read sheet music will help you in your musical career by allowing you access to every piano work out there and allowing you the ability to compose or write any type of music you prefer. Sheet music also helps improve hand-eye coordination and will help you to instantly translate what notes are and what they sound like. Knowing how to see, hear, and play music will help you later learn by ear when you simply hear a piece of music. There are people who learn both ways, just like there are music teachers who will teach both ways. For intermediate or advanced piano players, learning by ear will be easier and come more naturally to them, especially since they have been playing for a while and already know the notes and sounds. But, most music teachers will have you learn by sheet music first. You will hear the notes, as well as see them on paper in front of you, so you can begin to memorize them and be able to identify them as you play. Beginning piano players will be able to learn notes, sounds, pitches, and finger positions on the keys by learning from sheet music before they begin to learn by ear. There are literally thousands of works to help new piano players learn the fundamentals of piano playing that will give them the ability to learn by ear later in their career. The music teachers who will teach you by sheet music first will normally start with scales and positions so the beginner can learn how everything sounds and where it is. From there, beginning piano players will move on to more complicated works that will help them to learn strains, chords, and more. Once a piano player has the basic notes and sounds down, it will be easier to pick up music by ear. Learning to play by ear can take years for some people to master, while learning by sheet music is fairly easy to master once you learn how to do it. Once a piano player learns to read by sheet music, they can pick up any work and learn to play it. Even those extremely complicated works can be learned when practiced enough. Other works can be perfected and played over and over until they are memorized, and a budding composer can begin to write their own music since they now know how to read the music and play it as well. But what about those naturally talented to play the piano, doesn’t it just come to them? There are always those musically gifted people who can sit down and pick out a melody simply by ear. For these musicians, they learn better by ear, since their brain is predisposed to learning the sounds instead of the written works. These players will need a piano teacher who can teach them to play by ear, and then to read music. Most people who are naturally talented to play music by ear will sometimes have a hard time learning to read sheet music, so they will need a teacher who is strong in both to help them become a well-rounded musician. There are great learning tapes and other piano techniques that you can use to learn by ear as you begin to master this area of piano playing. Learning to play by sheet music and then by ear is one of the great traits that any piano player can master if they work hard enough at it. Most of the great jazz piano players of the past had to teach themselves to play the piano and then learned sheet music. And, most jazz piano players of modern times learn the opposite way. But, no matter which way they learned, being a great jazz player means that you have to learn to improvise, and you cannot do that without being able to play by ear. Improvisation is something that comes after years of practice and study, and once you are able to master it on the piano, you can play anything, with any group of musicians. How you or your students learn will depend on their natural talent and what they aspire to be in their musical career. Every musician should learn to play from both sheet music and play by ear, to give them the ability to do anything that they want with their piano. No matter what you want to do with your abilities to play the piano, you should be able to learn from both sheet music and by ear, so you are able to work and play in any situation. Being able to learn from both sides is a great way to become one of the well-rounded piano players who can pick up and play any piece of music. This article was brought to you by Mandi Weems. If you want to read other great articles, go to the tutorials section at Free Piano Sheet Music. And don’t forget to download your favorite Free music while you are there!  – free-piano-sheet-music.net. Editors comment/ If you’ve written your own piano music, this article explains the 5 best ways to market it online. With the help of the internet, it is much easier – and quicker – to get your piano music heard. If it is good, you can expect success very quickly as people recommend your music to their friends. This article by Christopher Carlin explains how to go about promoting your piano music online. Many people have argued that there are no great piano composers in the modern world. They say that this art died fifty to one hundred years ago. Here are the facts – there are still many unbelievable piano composers in the modern world today. However, whilst one cannot argue with their creative skills, they lack basic modern marketing skills. And the world is missing out on this distinguished talent. The most affordable and convenient way to market your music today is through the internet. It is used by billions every single year. So why do many piano players fail to market their music online? Why do they go down the traditional route of taking it to a publisher? If you make the decision to market your music online, it is almost criminal to do so without a website. Your website must be where you send all of your prospective customers. Your website must contain details on how to purchase your music, both online and offline. I would also recommend having a ‘sample’ piece of music for clientele to listen to for free and to be able to download the score. When you are building your website, you must include a list. What is a list? A list is a collection of email addresses of potential customers. Your list should be kept abreast on new pieces of music that you are creating. Also they should receive occasional incentives to remain on your list, eg. a free song or a discount. It is much easier to sell to people that know and trust you then to sell to a complete stranger. But so many people in all facets of marketing spend more time on getting more customers than selling to previous customers. Do not make this same mistake. By investing no more than $US200 per year, you could and should have a major increase in sales. Piano radio stations are a great way to market your music online. There are numerous radio stations on the World Wide Web that specialize in all sorts of areas, and piano is no exception. Whilst I could only speculate costs, you might be able to get your music played for free, or even better, you might be entitled to royalties from that particular radio station. The main difference between radio piano stations and normal piano stations is that online users are able to click on a link that will take them directly to your site. So make sure that the music that you submit to radio stations are some of your best pieces of work and fit the mould of the station. There are numerous cases where piano composers only market their actual music and neglect to market their sheet music. This is such a silly thing to do. If a piano player likes listening to your music, then naturally they would want to learn to play it. Web sites like Free Piano Sheet Music would be more than willing to put your compositions onto their web site for free. Also you would get valuable links from your sheet music to your website. This is the new way to market your music online. You Tube has simply taken the world by storm, not only from a viewers perspective but from a marketing perspective also. Similar to video clips that you see on MTV you are able to create your own video of your music. It does not have to be a complicated task. The easiest way to do it is to record yourself at the piano playing the score and this would be enough. However if you have a theme to your music i.e. the ocean, then you would cut to shot of the beach, i.e. waves crashing on the rocks. Whatever you decide your video clip to be, make sure you put a visible URL at the end of your video as credits, so the viewer can take action to buy your music. Forums are an old and popular way to marketing your music, and it still works today. Not only can you specifically market your music in the forum, you can also market your music by just posting messages about anything related to the piano. For example, if there is a discussion about what is the best brand of piano, and you post your comments, you can put a link at the bottom of your post to your website. So not only do you market your music, you also marketing to the right group of people, piano players! In conclusion these are much more effective methods of marketing your music then taking it to a publisher. Not only do you have much more control of your music, it is also much cheaper. The world deserves to hear your music! Christopher Carlin is the founder of the new resource for piano players, Free Piano Sheet Music. If you wish to submit your compositions to us, you can do so at contactus@free-piano-sheet-music.net.